Two years of travels and meetings to make a journalistic investigation on the relics of Christ. 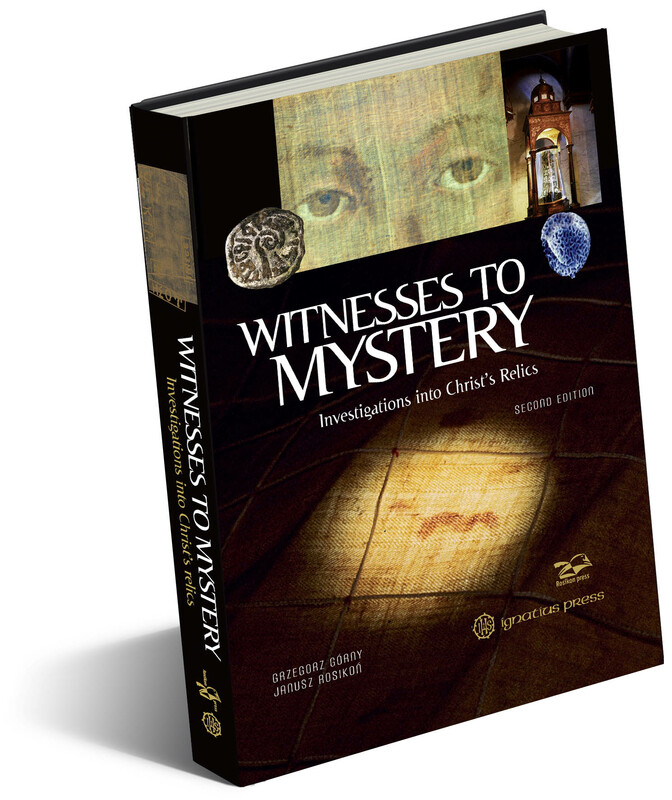 The result of such work of journalist and essayist Grzegorz Gorny and of photographer Janusz Rosikon is a book just published by the Libreria Editrice Vaticana: “Witnesses to Mystery. Investigation’s Intro Christ’s Relics.” It’s a unique book among those that treat this argument because, not only is it the fruit of research in archives, but also of the collaboration with world renown scientists that, with scientific rigour investigated the authenticity of Jesus’ relics connected with His Passion, Death and Burial. Among those studied and photographed in this volume, are — beside the most known Holy Shroud — the Holy Cross, the nails, the Crown of Thorns, the Column of the Scourging, Christ’s tunic of Argenteuil, the garment of Treviri, the Veil of Manoppello, the Shroud of Oviedo and others. The two authors follow the trail of the relics of the Lord’s Passion in several countries of the world, and gather a rich documentation on the specific objects that have remained from ancient times up to today. They scour the archives, talking with historians and meet with world renown scientists to know the results of their work. They don’t accept anything on faith but starting from historical sources they seek to find confirmation of the authenticity of the relics in scientific researches. As Gorny explains: “We listened with more attention to the voices of scientists equipped with sophisticated facilities than historical and religious accounts. Yet, often these two ways met. The results of long and detailed scientific analyses coincided with what had been transmitted by oral and written Christian Tradition. We saw that science and religion must not contradict one another.” However, the relics are also a great challenge for the scientists because, as Gorny stresses, “science at the present stage of its knowledge, is revealed impotent in its ability to explain in what way some relics were formed. Therefore, he adds, we found ourselves to be witnesses of the limits of modern science.” And the awareness of such limits means that many honest scientists open themselves to the dimension of the mystery. Reading the text of Grzegorz Gorny and looking at the photographs of Janusz Rosiskon one has, in fact, the sensation of entering into contact with the silent, but so eloquent, witnesses of the Mystery. The book was presented at Rome in the Palazzo della Rovere, headquarters of the Equestrian Order of the Holy Sepulchre of Jerusalem, on March 28. Intervening were the authors themselves and the Governor General of the Order of the Holy Sepulchre, Leonardo Visconti di Modrone, and Fra Giulio Cesareo OFMCap., Editor-in-Chief of the Libreria Editrice Vaticana. “Vatican News” journalist Barbara Castelli moderated the meeting.